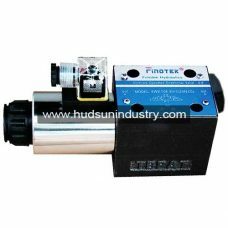 Solenoid operated directional control valve, WE10/NG10 series are spool type hydraulic directional valve is used for control the fluid oil flow direction, stop or allow fluid flowing. 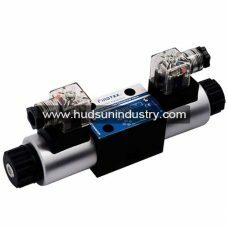 The main component of the solenoid operated directional control valve WE10/NG10 series includes valve housing item no. 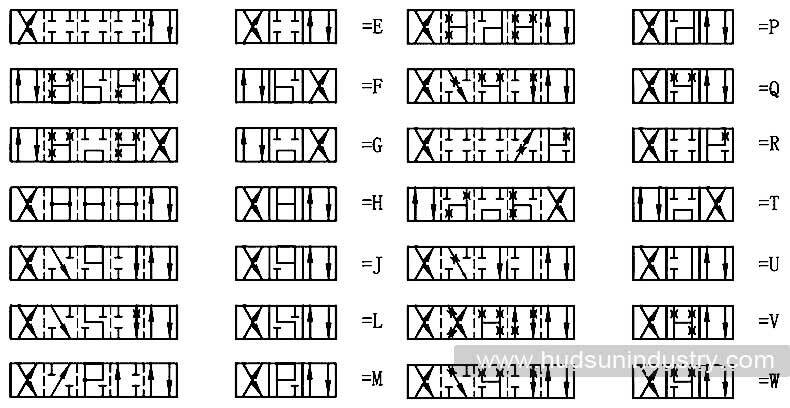 :1, double solenoids item no. 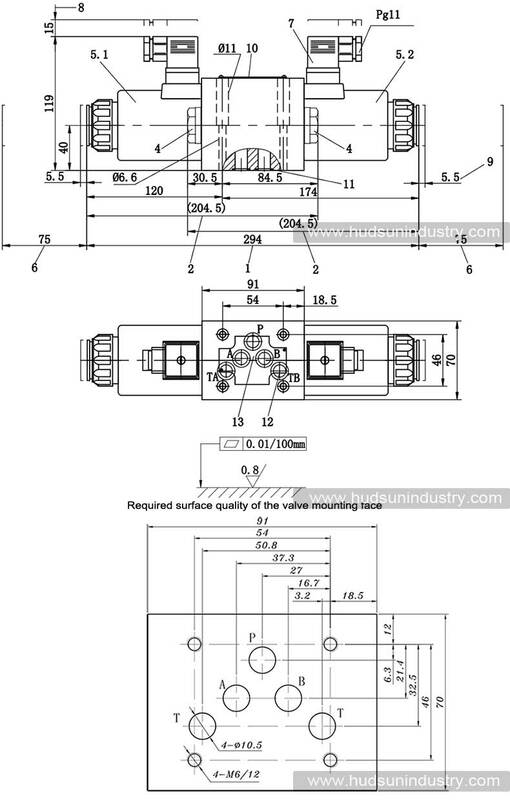 :2, valve spool 3 and two springs for spool position return. 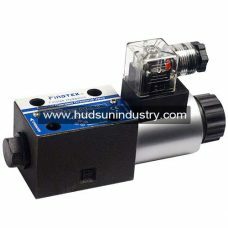 When the solenoid is not activated (de-energized), the valve spool item no. :3 is keeping in the center position by the force of returning spring item no.:4. 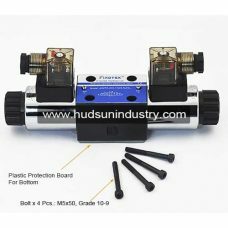 The wit-pin solenoid pushes the valve spool to its working position by the plunger item no. 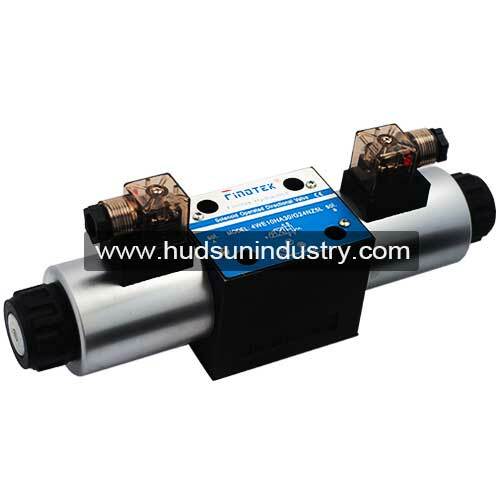 :5, when the each solenoid actuated by electrical single, which allows the fluid oil from P port to A and B to T or P port to B and A to T oil port. 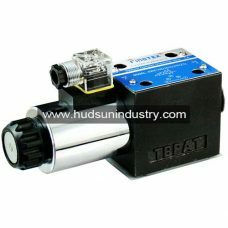 The control spool is pushed back to its initial position as soon as the solenoid item no. 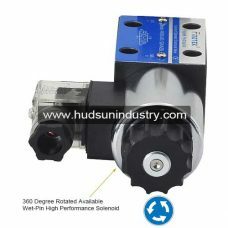 :2 is de-energized, but the spool position allows to be controlled by pushing the override button manually when the solenoid with de-energized, this function of solenoid operated directional control valve is mostly used for emergency situation, like power turn-off temporarily.